A few weeks after announcing that Nike will be the club’s official kit supplier for the 2018/18 season Saracens have today unveiled their home kit for the upcoming campaign. The kit will be worn for the first time at the Premiership 7s this weekend before fans get their chance to pre-order the kit on Monday 30th July. The kit marks a return to all black for Saracens. 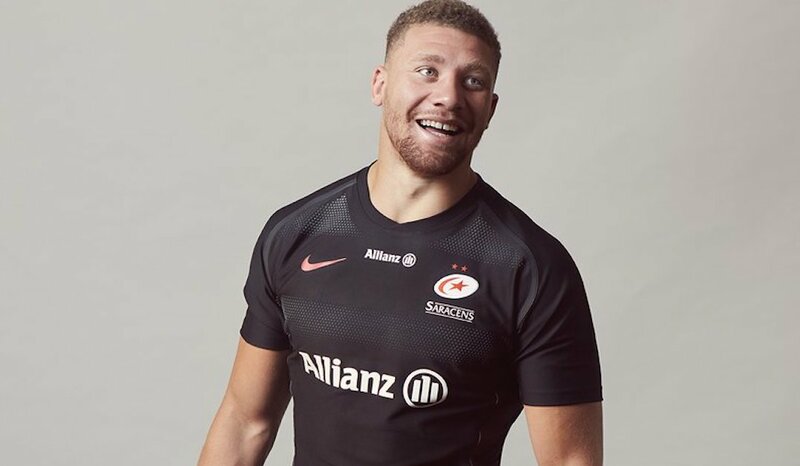 The team last wore a predominately black design back in 2011, the first year of Saracens’ and Nike’s original partnership and this year’s kit takes the theme one step further, bringing total blackout to the design. Splashes of red can be seen in the iconic Nike swoosh and the two European Champions stars but the focus is on simplicity and on our colours. Kit Launch | Total blackout is here. These are our colours, and this is our 2018/19 @NikeUK home kit. Fans will notice though the detailing on the side panels of the shirt, where hazard lines run up its length. A symbol of intent and a message to challengers – this element of the kit represents the on-field battle. The 2018/19 kit is also packed with technical innovations which set the kit apart. The pro shirt features a specially engineered fit complete with flowline reinforcements and weak point reductions. Gel grips on the shirt and unique ‘dry hand’ technology on the shorts complete the design. Pre-order will go live on Monday 30th July, with delivery of orders commencing from 12th August. To order your shirt head to www.saracenssuperstore.com from Monday.